The sun was brightly shinning on Memorial Day. 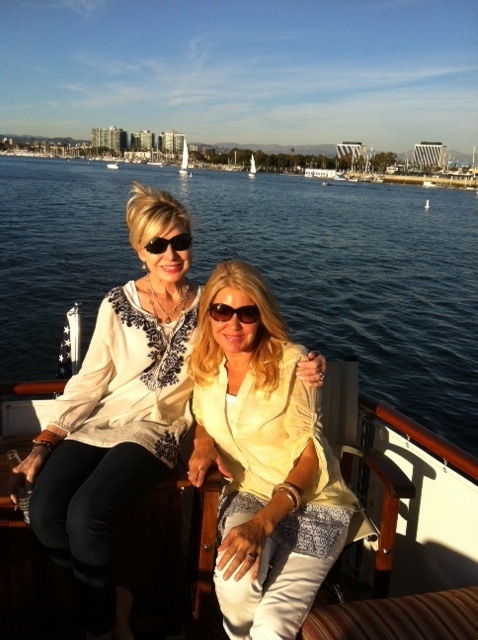 We went out on John Paul Dejoria’s 61 foot Chris Craft newly restored and beautifully decorated by Penny Shaffer Designs and had a magnificent day!!!!!!!!!! Lot’s of yummy food, family and friend’s to celebrate! Then we took the kid’s to the Veterans Cemetery so they could understand what Memorial Day is really about and see the thousands of flags placed to honor all of our service men and women. ……This sight of all of the flags was equally beautiful.